I'm feeling a bit rushed lately. and all before Dec. 25th. Not a minute to spare. And I still haven't wrapped a single thing. Yes I'm feeling the crunch. But I won't panic or worry. And then Friday will be here and I can relax and do nothing. 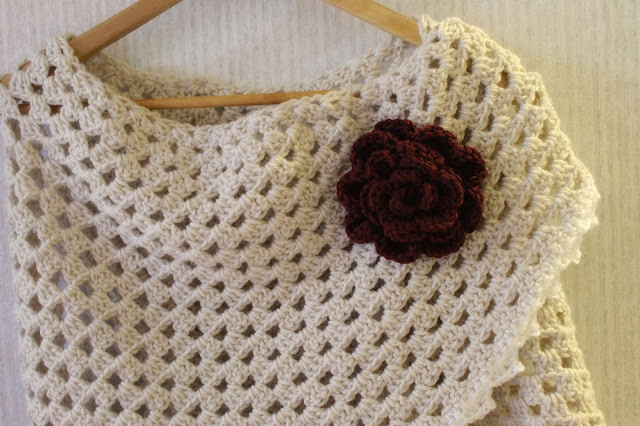 I've sneaked in some crochet time during the hustle and bustle of this holiday season. This is what keeps me sane sometimes. I'm calling this my linen shawl because that's what this reminds me of. The color of the yarn is somewhere between gray and off white. It's really a lovely color and definitely looks like linen. It's a triangle granny stitch shawl. A very simple pattern but makes for a very pleasant shawl. I added a white picot edge border and finished it off with a charming flower in a cranberry color. I think the colors work nicely together. So so soft, feminine, and cozy. I just want to throw it on and keep it on. Wrap myself up in sweet yarny goodness. I have another one started in a different color. Wishing everyone a stress free Christmas. Its beautiful, perfect for cold days to snuggle into. I love the addition of the flower makes it really pretty. Have a wonderful Christmas. That is gorgeous and the size looks just right. Gorgeous shawl and rose !!!! A Merry Christmas to you with peace, health and love !!! 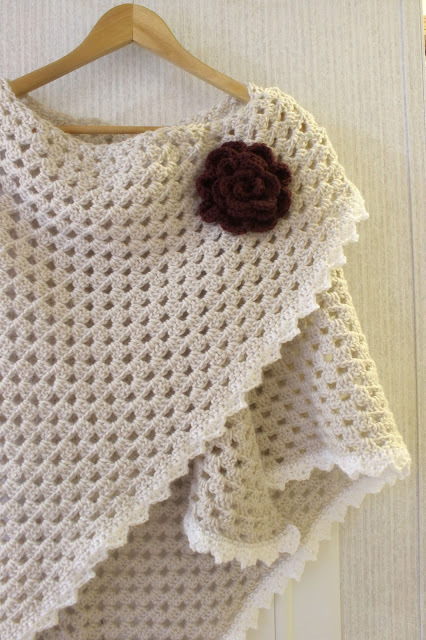 What a gorgeous shawl - a present to yourself? 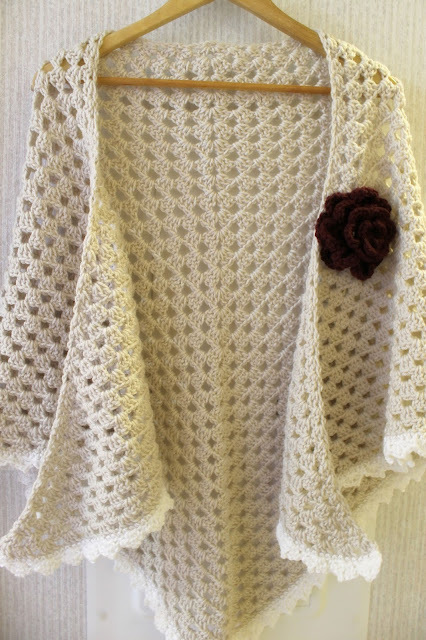 It does look wonderfully snuggly, and yay for sneaking in a little crochet to keep you sane!! You made such a pretty shawl. Have a Merry Christmas. gorgeous. You will love wearing it. 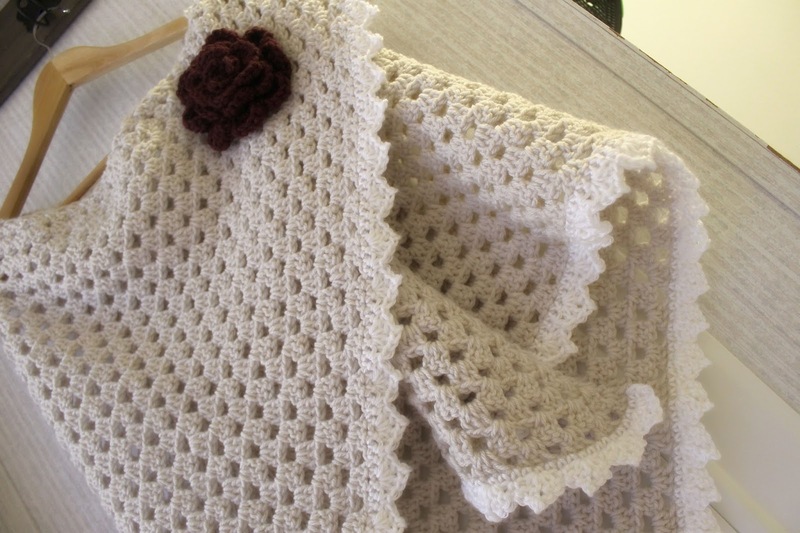 Beautiful gorgeous shawl! I love the color choice and the flower touch! Bardzo lubię takie proste wzor. Bardzo ładna chusta. Na zimowe mrozy będzie w sam raz. I really like such a simple pattern. Very nice shawl. At the winter frosts will be just right.